I hope you all had a very merry Christmas! Me n mine sure did. 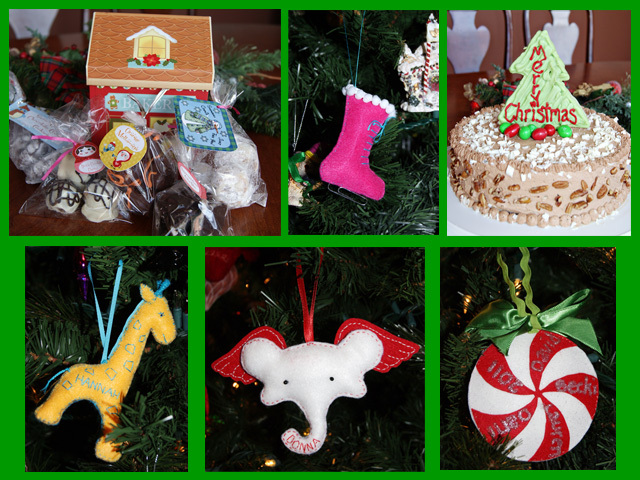 I was pretty pleased with my Christmas elfery this year – I managed to make and give out four kinds of ornaments (hey! sewing is kind of fun! who knew?? ), I made and distributed two cakes, snowball cookies, chocolate crinkle cookies, double chocolate covered cherries, orange meltaways and peppermint cookies bites AND I got our Christmas cards made and mailed at the last minute, but still in time to arrive before Christmas. 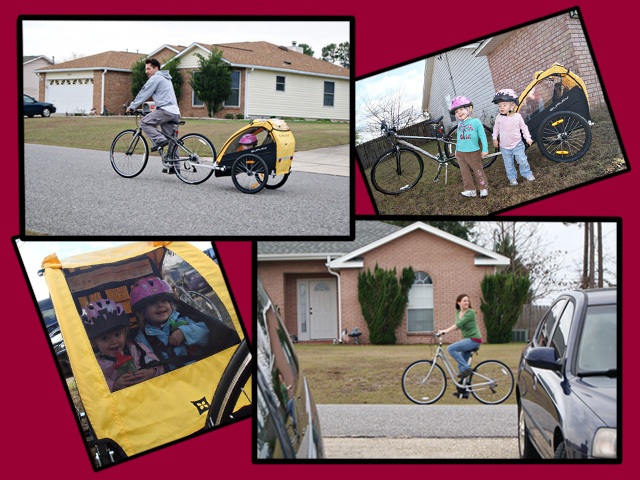 Santa took note of all this good behavior and I got my Christmas wish – bikes for the family! Well, bikes for me and Dave and a trailer for the girls to ride in. Let the good times roll (hah! pun intended! ), 2012 – this lil family is gonna be healthy AND make happy family memories together. Hooray! Christmas was its usual crazy/wonderful season full of family and friends. I am so, so thankful for my little family and my big extended family that loves us all like crazy. I am so glad that we have to juggle plans between all the in-laws! I didn’t grow up around any extended family, which is pretty regrettable when I see how much my girls love all their grandparents, aunts, uncles, and cousins. Yes, we spend a lot of time shuttling between my family and Dave’s, but it’s so worth it! It’s that resolution time again….Dave and I didn’t really make any real resolutions, except that we are both going to make a bigger effort to “be more organized.” That sounds vague and highly likely to be successful, right?! Well, hopefully our garage/yard/house will be more orderly. Tis the goal. And of course I’d like to lose some weight, and while I was enjoying all the edible delights of the holidays, I was planning other crash diet for the new year (remember my dabbling with the Atkins diet?) but ya know what? Forget that mess. I mean, it works, but only temporarily. So my real goal is to get more active this year. Starting with those bikes! But I also hope to ride Wunder AT LEAST twice a week, take a lesson on him once a month, run once a week and participate in an organized run once a month. Throw in some regular workouts with my Moms Into Fitness videos and I should be headed in a much better direction than my current stagnation has dictated. Right? Right! 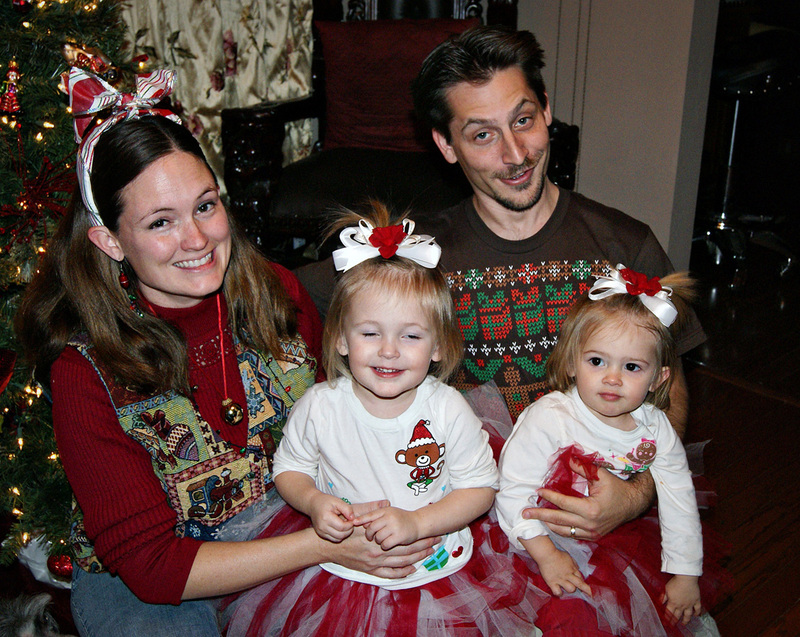 Awww, your family picture is wonderful and I love the girl’s Christmas tutus! 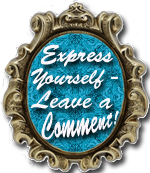 Your handmade ornaments are great. It’s hard to sew something as tiny as those skates and as curvy as the giraffe and elephant. You did a wonderful job. With all the crafting and baking it certainly sounded like a busy season in your household. I hope you and your family enjoy a very safe and very happy and healthy New Year. Have fun with those bikes, I’m sure the girls are going to love being towed along in their new little trailer. Your girls are absolutely adorable! And I can’t believe you made all of those things- the giraffe is my fave 🙂 And I, too, am trying to get back on the workout wagon. It’s tough, but it’s worth it. Wishing you a happy (belated) holiday and new year!